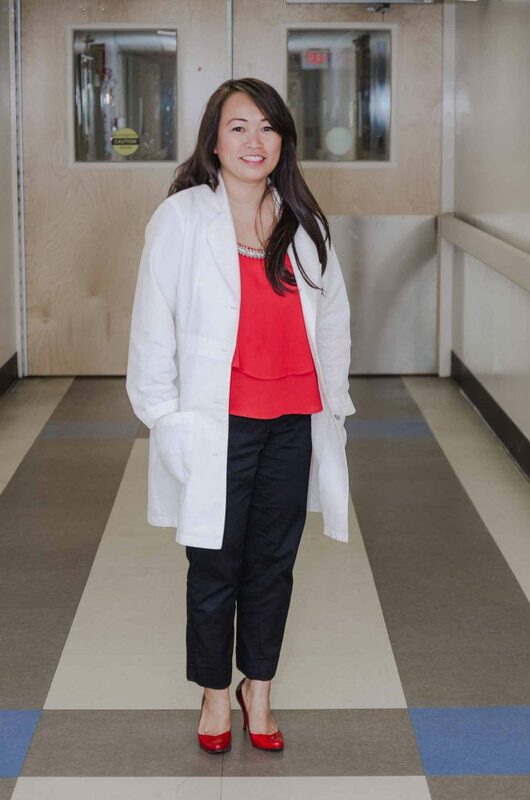 SreyRam Kuy has known for as long as she can remember that she wanted to be a doctor and work with underserved populations. Today, the Ford Scholar Alumna works at a Veteran Affairs medical center in Louisiana as a general surgeon. Kuy, from the Class of 1996, has earned the Gerald E. Bruce Community Service Award for the initiative she has taken professionally and civically in her community. The annual alumni award recognizes the good works unselfishly exemplified by Ford Scholar Alumni in the betterment of their communities in memory of Bruce, who was a founding board member of The Ford Family Foundation. Kuy’s family fled Cambodia’s killing fields, where 2 million people perished under the Khmer Rouge regime in the 1970s. After escaping from Cambodia, her family fled to Khao-I-Dang refugee camp in 1980, when she was just 2 years old. They were severely injured by errant rocket-propelled grenades, but volunteer doctors operated on her and her mother, saving their lives. After migrating between refugee camps for 18 months, the Seventh-day Adventist Church sponsored the family and brought them to Corvallis in the verdant Willamette Valley. She earned undergraduate degrees in microbiology and philosophy from Oregon State University in 2000 and a medical degree from Oregon Health and Science University School of Medicine in 2005. She then went on to earn a master’s in health services research from Yale University School of Medicine in 2009. Kuy works at Overton Brooks Veterans Affairs Medical Center in Shreveport, La., as the first full-time female general surgeon. She also founded the Center for Innovations in Quality, Outcomes and Patient Safety. As director, she spearheaded efforts to improve quality of care for veterans and create a culture of change in surgical care. Another project that she initiated was a book, “The Heart of a Tiger,” that she wrote with her sister about their family’s experiences surviving the Cambodian Genocide. As a result, she became a writer for the Huffington Post, Washington Post, USA Today and Salon. Kuy is also an assistant professor of surgery at Louisiana State University. Aside from her career, she mentors the next generation of doctors and medical students and has educated the general public about medical topics. She served as a board member on the National Board of Medical Examiners and is a member on the Accreditation Council for Continuing Medical Education. She’s also volunteered for other medical organizations. “The passion and commitment she shows in providing medical care, teaching the next generation of doctors and medical students, and serving her community is inspiring and represents the core values of The Ford Family Foundation,” said Bonnie Williams, the manager of scholar and alumni engagement. Kuy will receive the award on June 25 in Eugene during the Recognition Conference for the Class of 2016 Ford Scholars. The award comes with a $5,000 grant that Kuy has chosen to be given to an organization that serves veterans. As a surgeon who takes care of U.S. veterans, she sees a tremendous need among these veterans and is honored to receive the Bruce Award. 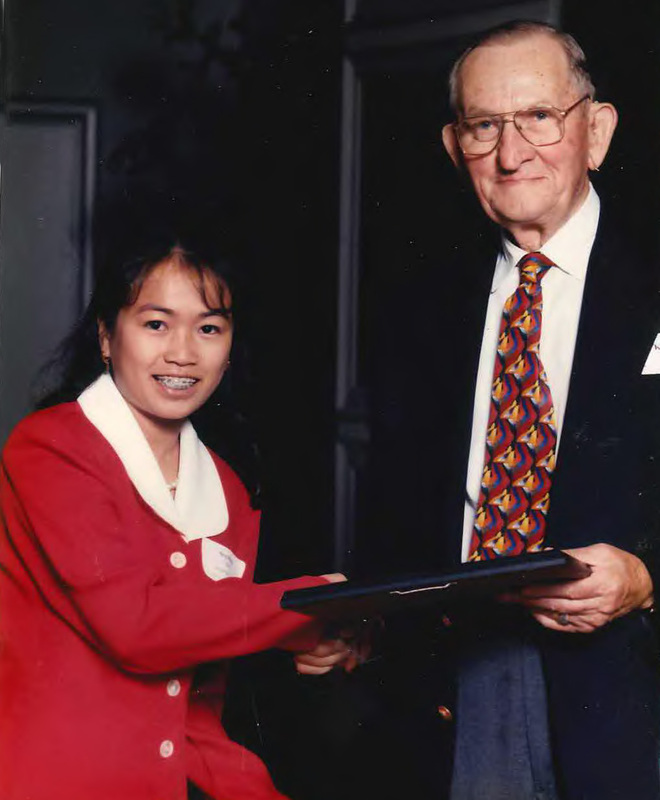 “It was such a privilege to be a Ford Scholar, and I still remember meeting Mr. Ford at the Benson in 1996,” Kuy said, adding that she has a photo of herself and Mr. Ford in her office. Gerald E. Bruce Community Service Award winner Dr. Kuy from the Class of 1996.